Undoubtedly, the wedding celebration is one of the most anticipated events in the life of any girl. In fact, women’s nature is such that in any situation. Whether working in the office or dancing at the party, women aspire to look stunning. Therefore, when it comes to the wedding, the brides strain every sinew to buy the most beautiful bridal outfit. Hence, to create a brilliant look of a sophisticated and elegant bride, it is important to choose the right wedding dress. Visit our Ingrida Bridal shop and creativity of our professionals will skillfully make your bridal look magical. Our modern wedding boutique is always ready to offer our customers numerous wedding collections. Also, we offer a broad selection of wedding accessories among which every bride will pick the most suitable option. More and more exuberant brides are resorting to our bridal shop’s help in selecting a mind-blowing wedding gown. Moreover, we go to great lengths to become the wedding dress shop where you will find a bridal gown of your dream. Indeed, it is not difficult to turn your wedding into a wonderful fairy-tale if you choose us! Our wedding boutique is a harmonious combination of the cosy interior and the luxury of fabulous bridal outfits. A special spirit of goodwill in the Ingrida Bridal shop helps the brides make their important choice in as much calm and relaxed atmosphere as only possible. The brides turn to us not only to buy a ready-made wedding dress. 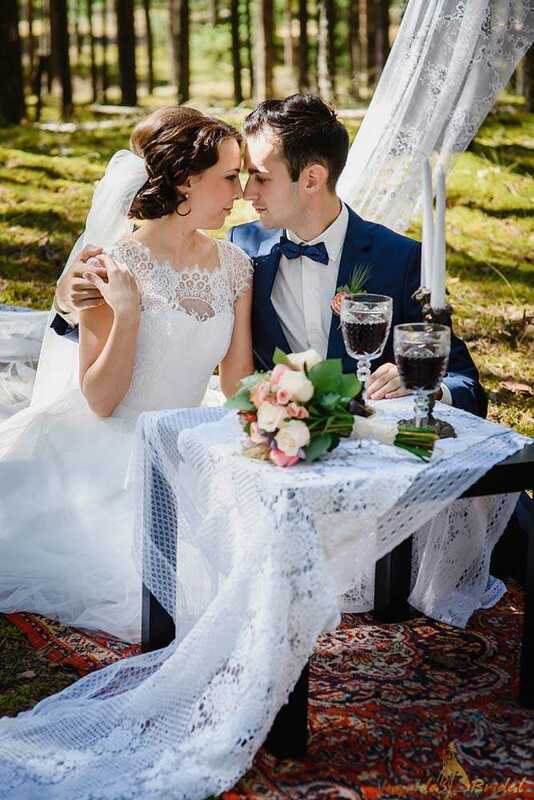 Thus, our highly professional mistresses of needlework will meticulously handcraft for you a bespoke wedding dress of any complexity in strict accordance with all your requirements and make wedding dress alterations if necessary. We are confident that our bridal collections from the leading UK manufacturers will surely find their worthy owners. Luxurious, refined, and airy bridal gowns will add incredible charm to your wedding look. Competent and highly experienced experts of our wedding shop will help you not only determine the wedding dress style that suits you best. But also pick up perfect bridal accessories. Thus, only the right combination of wedding dress and accessories are the way to create a harmonious and unique bridal look. We sell our fabulous dresses at very reasonable prices. When you choose a wedding dress, the rush is unacceptable. Consequently, to have an opportunity to devote ample attention to each bride, we arrange dress fittings in the wedding dress shop by appointment only. So, you can get acquainted with the wedding dresses which we offer on our website, and then make a fitting appointment. Come with a loved one who will appreciate your beauty. And you will derive much pleasure from the wedding dress selection process. Purchase just a bridal gown in which you love each detail! And at the Ingrida Bridal shop, you will definitely find such a dress. Remember that the once chosen bridal dress gives you the sweetest memories for a lifetime!